There is palpable tension in the border. A day after India accused Pakistan of beheading a soldier in Kashmir and killing two others, top military commanders of both countries spoke at Pakistan's request. Reports suggest that from about 9 am to 4:30 pm on Wednesday, India unleashed a fierce fire assault across the Line of Control in retaliation for Tuesday's killings. Machine guns and 120 mm heavy mortars were used to target Pakistani army posts. Pakistan then asked for an "unscheduled" conversation, said the army in a statement. India's military operations commander, Lt Gen Ranbir Singh spoke to his counterpart, Maj General Sahir Shamshad Mirza, who alleged that three of its personnel and nine civilians were killed in the firing by Indian troops. Lt Gen Singh made it clear that only Pakistani posts which had opened fire on India were being targeted. "Pak DGMO was exhorted to exercise strict control on their troops to refrain from any nefarious activities. This would lead to return of normalcy along Line of Control," the army statement said. India has accused Pakistani soldiers of providing cover to terrorists as they attempt to infiltrate India. While the Oz men are struggling, Australia captain Meg Lanning received the prestigious ICC Women’s Championship trophy in Sydney after a stupendous show in the tournament that culminated with a 3-0 series win over South Africa. World champion Australia finished with 36 points on the points table in the eight-team tournament, which saw all teams play a three-match series against each other. Australia was assured of the trophy even before the series against South Africa with an unassailable 30 points from 18 matches. Recent months have seen women’s cricket get the kind of attention it deserves and judging by the performances of the teams in the ICC Women’s Championship, there would be hotly contested World Cup in 2017. 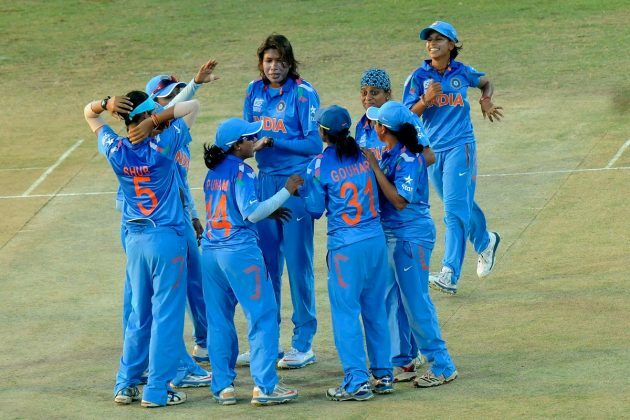 Have you been following the 2014–16 ICC Women's Championship, featuring the top eight ranked teams in women's cricket ? The 2014–16 ICC Women's Championship was a the first edition of the ICC Women's Championship, a women's One Day International cricket(WODI) competition contested by eight teams. The top four teams at the conclusion of the tournament (Australia, England, New Zealand and West Indies) gained automatically qualification for the 2017 World Cup. The bottom four teams (India, South Africa, Pakistan and Sri Lanka) face six qualifying teams in the 2017 World Cup Qualifier for the remaining four places at the World Cup. The position of India could have been much better but for these 3 matches, where they would be considered to have scored 0 runs in each of the three matches and its net run rate also would be adjusted accordingly. The matches against Pakistan were due to be played between 1 August and 31 October 2016. Following consideration of written submissions from both the PCB and the BCCI, the ICC Technical Committee has ruled that the India Women’s team is deemed to have forfeited each of the three matches it was due to play against Pakistan in Round 6 of the ICC Women’s Championship, and that the associated points should be awarded to Pakistan. Aus women won 18/21 (36 points); England (29); NZ (26); West Indies women (22). India got 19 in their 18 matches !! ~ some say that Sports is different but it is a sure sign of the rising tension along the LoC - India has forfeited three matches of the International Cricket Council (ICC) Women's Championship refusing to play. Cricketing ties between the nuclear neighbours are currently stalled, and the men's teams have not played a bilateral series since Pakistan toured India at the end of 2012. Mithali Raj, the captain of India, was not allowed to lead her side out onto the pitch on fixtures against Pakistan, captained by Sana Mir ~ and should Virat Kohli play his side in England against Pak is a natural Q. They have played in the past, but with this pulling out by the Womens team - whether the men's tie in the 2017 ICC Champions Trophy at Edgbaston, England, should take place becomes a big Q. Birmingham has a large south-Asian 'cricket mad' community and games generally would be sold out. The cricketing landscape, too should derive its shape around the feelings and anxieties of the Indian people. 'When the country is felt to be under attack the way that India felt like it was in 2008 the whole country felt wounded and violated - there is no need for entertainment on the Cricket field.